Transfer programs with Nanjing Forestry University and Fujian A&F University have been established, and programs with Beijing Forestry University and Zhejiang A&F University are being developed. 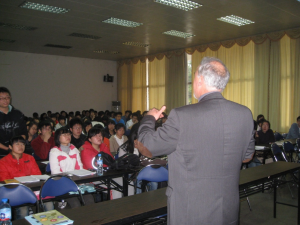 These programs involve two years of post-secondary education in China followed by program completion at UBC. Successful graduates receive a UBC degree. Since the first Chinese transfer student was accepted in the fall of 2008, the retention rate has been 100%. There are currently 16 undergraduate transfer students from China under this program. Another 40 students in China are working toward transfer to UBC for completion of their degrees. 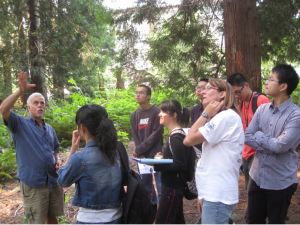 As part of the first two years of this program in China, UBC faculty members have been providing instruction in Nanjing as well as instruction through video conference lectures from UBC’s Vancouver campus. For more information about this transfer program, please contact Guangyu Wang, Director of Asian Strategies, Faculty of Forestry, at guangyu.wang@ubc.ca.